I was jogging along the beach the other day in the late afternoon and decided to see what the locals were catching on the jetty. I normally don’t pay too much attention as I’m used to hopping on the boat and going offshore for Dolphin or Sailfish, but today felt a bit different. It was a bit choppy and the end of the jetty was unusually crowded with anglers and the surfers were out in force as well. As I got to the end of the jetty I was greeted with cries of Pompano! Pompano! Next thing I knew 1-4 pound Pompano were being lifted up onto the rocks every couple of minutes. I love eating the white flakey meat of the Pompano, they are perhaps among the finest table fare of any fish in the ocean and available in many of Florida’s better restaurants. 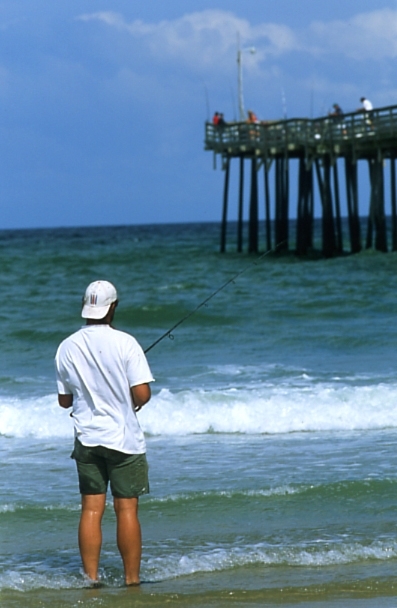 The Florida Pompano is within reach of any anglers that can walk onto a pier, fish a jetty or cast from the beach. The Florida Pompano is an excellent fighter although they only average a few pounds and fish over five pounds are considered monsters. For those who know how to fish for them, they are available mostly early spring through early fall. 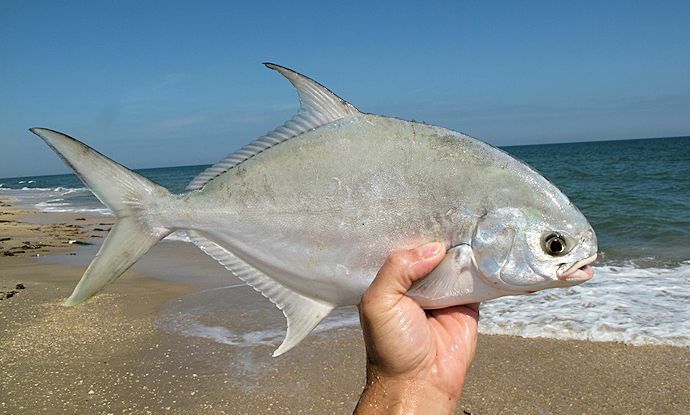 The prime bait for catching Pompano is the ‘sand flea’ also called mole crabs, most small crustaceans and shrimp will work as well but sand fleas are by far the bait of choice for the accomplished Pompano fisherman. These fish travel in schools so if you see one caught, there will probably be more to follow. One of the things I love about Pompano fishing is that I don’t have to be in the crowds at the tip of a fishing pier or the end of the jetty to catch them, pompano like to feed just on the ocean side of a shore break or sand bar where they can ambush small crustaceans being washed out with the current or tides. They tend to feed on the incoming tide and the early part of the outgoing tide when water depth is optimal for them to move in closer to shore. Any medium spinning rod with 12 lb test line will work just fine as remember, these are fish that average one to four pounds but fight like heck, and since they feed just beyond the shore break mega long surf rods are not a necessity either. But this should be determined by surf conditions at the time. Small circle hooks can be used as singles or in multiple hook rigs. I prefer one 1/0 or 2/0 circle hook hanging about a foot above a pyramid sinker. I have a preference for pyramid sinkers as they will hold bottom better than bank or egg sinkers. 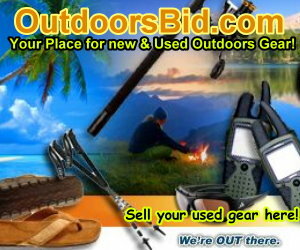 In my next article I will go over catching your own sand fleas using a sand flea rake that can either be built or purchased at stores such as Bass Pro shops or Gander Mountain. It should be noted that once you find a stretch of beach that is abundant in sand fleas there is a good chance it will hold Pompano as well. After all you can use these little critters as your advance scouts! So, find the sand fleas, find some choppy water with a shore break and an incoming tide and cast to the far side. Then start daydreaming of a great wine to go with your incredible Florida Pompano meal! I remember my Mom, buying Pompano at Larry’s Fish Market on Brighton Beach Ave. Thanks for the heads-up, I’ll look into it.